New Approaches to the Book of Mormon. 1993. Brent Lee Metcalfe, editor; Signature Books. Chapter 10. 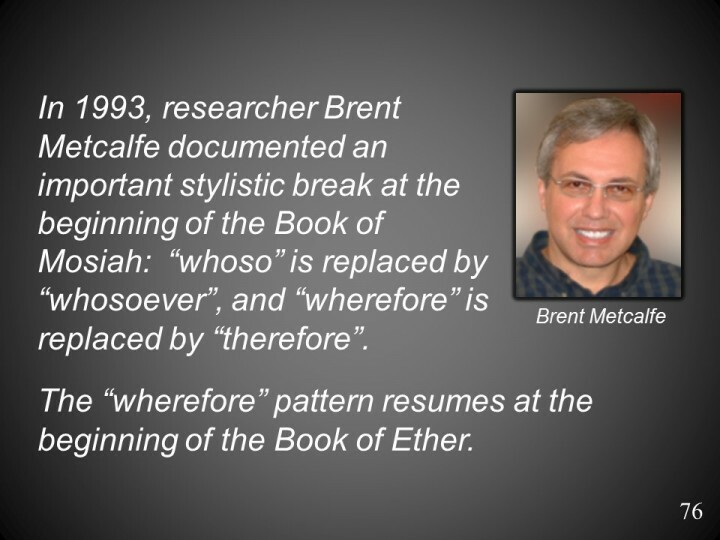 The Priority of Mosiah: A Prelude to Book of Mormon Exegesis, Brent Lee Metcalfe.